Activists claim the problem has persisted for nearly a decade. 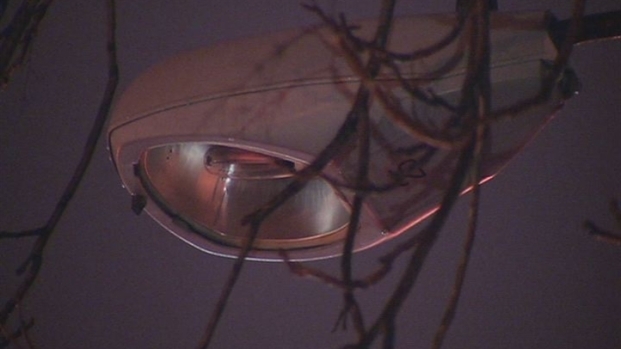 Neighborhoods streets have been lined with broken streets lights for nearly a decade, but NBC Connecticut has learned the city is finally starting to take action. Burned out street lights are almost everywhere, and neighbors have been fed up for quite some time. “It’s really a chronic thing it's almost like a chronic illness,” said community activist Hyacinth Yennie. She told NBC Connecticut people who live in the Barry Square area, are scared to walk on the dark streets. She added, the broken lights have become an invitation for criminals, because no one can see them breaking the law. “We have a lot of drug activities going on,” said Yennie. She also claimed she complained to the city about this many times, and nothing has been done. “I need them done like today, like now,” said Yennie. On Thursday, city officials admitted this is a huge problem across Hartford and these lights need to get turned back on, and they are now making this a top priority. “In the last two months we have replaced and or fixed over three hundred lights in the city of Hartford,” said the city Chief of Staff Jared Kupiec. The Hartford chief of staff tells NBC Connecticut, the city is working with CL&P to repair and or replace dozens of broken street lights. He added, he’s holding CL&P accountable, and his goal is to have the lights on city-wide in the next few months. This will cost thousands of dollars. “There is money set aside, it’s an investment that we're making,” said Kupiec. The investment should make neighborhoods safer, ease frustrations, and improve the quality of life. If you have a problem like this in your neighborhood call 311.